Cecelia A. Scher, 92, formerly of Huntington, IN and Punta Gorda, FL, passed away August 12, 2018 at Quality Health Care North Port, FL. Mrs. Scher was born July 14, 1926, in Layfette, IN, to Paul and Mary (Brand) Brooks. Her parents preceded her in death. Her first marriage was to William H. Nix on June 1, 1946. He preceded her in death on May 4, 1966. Her second marriage was to Robert J. Scher on November 18, 1967, and he preceded her in death on December 26, 2003. 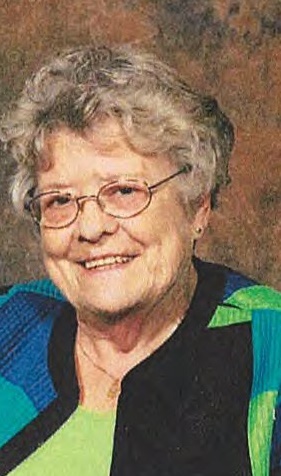 Cecelia was a 1944 graduate of St. Francis High School and she attended St. Francis College. She worked as a Dental Assistant at Risk Dental Clinic and later worked at Huntington Memorial Hospital and did home nursing. For 12 years she worked at Gass’ Ladies Shop in Huntington and retired in 1986. After retiring she and her husband, Bob, spent the winters in Punta Gorda, FL. Cecelia was a member of SS. Peter & Paul Catholic Church in Huntington, IN, and the Sacred Heart Catholic Church in Punta Gorda, FL. While attending church in Huntington she served as an officer for the Rosary Sodality and spent six years in charge of funeral dinners for parishioners. Cecelia is survived by two sons, Gregory H. Nix, Fort Wayne, IN, Stephen B. Nix, Arlington, VA; two daughters, Barbara E. Porter. Punta Gorda, FL and Theresa A. Smiley, Chicago, IL; 11 grandchildren; and two great-grandchildren. Also surviving is a brother, Thomas (Jane) Brooks, Lafayette, IN, and one sister, Joan (Duane) Lods, Carmel, IN. Along with her parents and two husbands she was preceded in death by one son, Michael W. Nix. Calling hours will be held on Monday, August 20, 2018, from 3:00 PM to 6:00PM at McElhaney–Hart Funeral Home 715 N. Jefferson St. Huntington, IN. Additional calling one hour prior to Mass at the church on Tuesday from 9:00 AM to 10:00 AM. Recitation of the Rosary will be at 4:00 PM Monday at the Funeral Home. Mass of Christian Burial will be 10:00 AM Tuesday, August 21, 2018, at SS. Peter & Paul Catholic Church, 860 Cherry Street, Huntington, IN, with Father Tony Steinacker presiding. In lieu of flowers memorials can be made to SS. Peter and Paul Catholic Church in care of McElhaney-Hart Funeral Home, 715 N. Jefferson Street, Huntington, IN, 46750. Private burial will be in Mt. Calvary Cemetery, Huntington, IN.